Speaking with AllThingsD, Intel Media corporate vice president Erik Huggers confirmed months-old rumors that an Intel-powered set-top box and accompanying TV service are on the way. The team building the platform, Huggers revealed, was composed of personnel hired away from an array of tech luminaries. Intel will soon take on Apple in the alternative set-top segment with its own device. "We've been working for about a year now to set up a group called Intel Media. It's a new division with new people  people [we've hired] from Apple, Netflix, and Google." Rumors of an Intel-powered box have been around for months, but picked up steam late last year, with the company expected to reveal its set-top solution during January's Consumer Electronics Show. The device failed to materialize at CES, but Tuesday's news conforms largely to what was expected of Intel. Intel's offering will be centered around a set-top box and cable content packages. Intel is still negotiating the latter element with content providers, but it is expected that the packages will be smaller bundles than those customers currently receive from the cable companies. Those bundles are expected to be more tailored to consumers' own preferences. The set-top box itself is also said to have an integrated camera, allowing for gesture-based controls as well as targeting ads directly toward users based on what the camera "sees" in the room. Rolling out its own set top box and content service is a considerable departure from the norm for Intel. Typically, the company has been content to feature its products in the computers of much of the PC industry. That strategy, which led to $53.3 billion in revenue for 2012, may begin flagging in the coming years as the PC market continues to falter and consumers increasingly move to mobile devices, a segment Intel has struggled to enter. Moving instead into providing its own set-top box will bring Intel into direct and indirect competition with not only the cable providers, but firms such as Samsung, LG, and Google, as well as Apple, which is widely rumored to be considering a disruptive leap into the television sector. 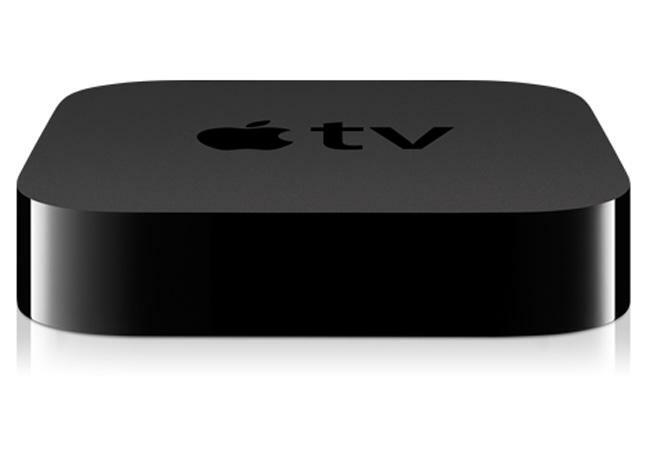 While the former three companies have seen varying degrees of success with Google TV and other Smart TV offerings, Apple's Apple TV has moved from niche product to "an area of intense interest" for the company. Speaking on the issue of television in general, Apple CEO Tim Cook said the company believes it can contribute a lot to the space.